Who Wants Codes for the Tribes: Ascend Beta Test? 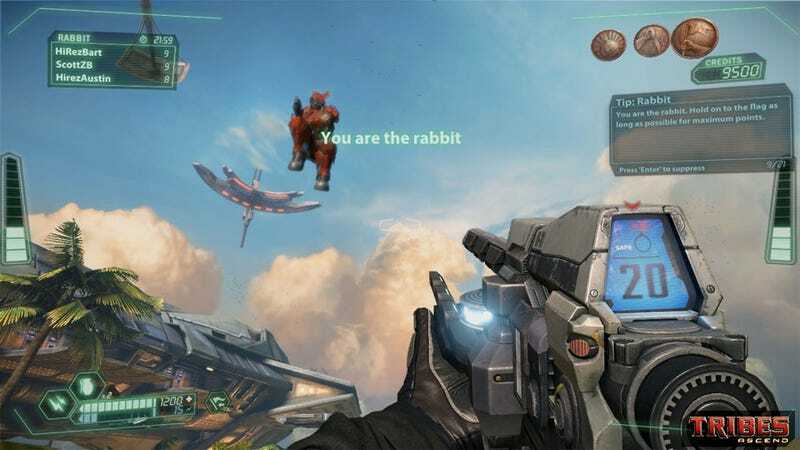 When Hi-Rez Studios contacted Kotaku about giving away 100 codes good for entry to the Tribes: Ascend beta test, I thought long and hard about the most efficient and fair way to distribute those codes to our readers. Then I said screw it and just dumped them at the bottom of this post. Think Hi-Rez is making an online multiplayer PC shooter worthy of the Tribes name? Yes? Great, here you go. No? Well then grab a code and join in the fun happenings going on in the beta forums, where some other people share that opinion in colorful ways. Perhaps you can even help steer the game in the direction you'd like to see it move in. And hey, if you grab a code, let the folks in comments know. It'll still be a clusterf***, but it doesn't have to be a gigantic one. · Players can create an account from within the Game Launcher, or login with an existing Global Agenda account. · Click on the Tribes tab, hit Enter Key and follow the prompts. 3) The game should start downloading immediately after entering your Beta key.